Large number of good quality colour photos; logical structure; readable text. The Australian government placed its order for the Leopard tank in 1974. A total of 101 vehicles were acquired, consisting of 90 MBTs, five Bridgelayers and six Armoured Recovery Vehicles. Two more ARVs were purchased subsequently. The first Leopards arrived in Australia from Germany in 1976, ending a selection and trial process against the US M60A1 that started in 1971 when the Army decided it needed a replacement for its Centurions, which had served since 1952 and been deployed during the Vietnam War. Mouse House Enterprise’s most recent book covers the Australian Leopard AS1 Family of Vehicles. It is presented over 192 pages between soft cardboard covers. 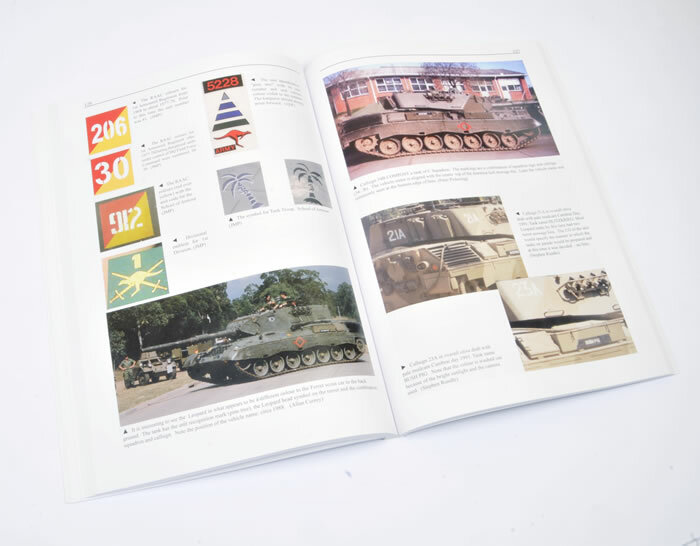 More than 450 colour photos document the development and trial vehicles, operational tanks, support vehicles, plus detail images of all variants. The photos are large and well reproduced – the jewel in the crown of this weighty reference tome. A good number of line drawings, scrap views and other illustrations are included too. This Chapter covers the Trial Directive, the Trials themselves, purchase and delivery. 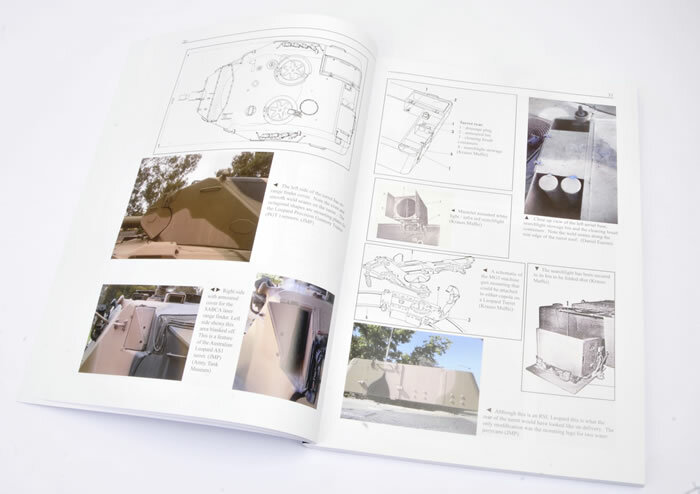 A series of short sections follow, including Leopard Tank Thermal Sight, Leopard Precision Gunnery Trainer, Additional Leopard Purchases, Experimental Leopards, Road Wheels, Move to Darwin, Australian Leopard Camouflage, and Vehicle Markings. Separate sections are provided for Leopards on Exercise between 1980 and 2007. 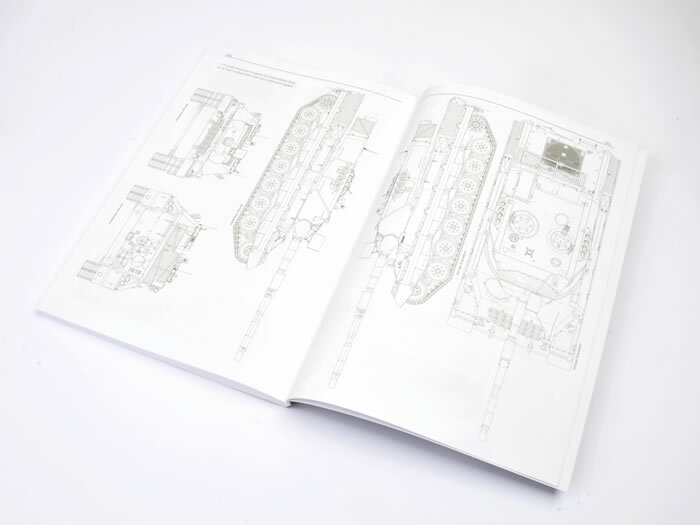 The main body of the book is wrapped up with a summary of tank transporters, rail transport, Leopard crew and scale drawings in both 1:72 and 1:35 scales. J. 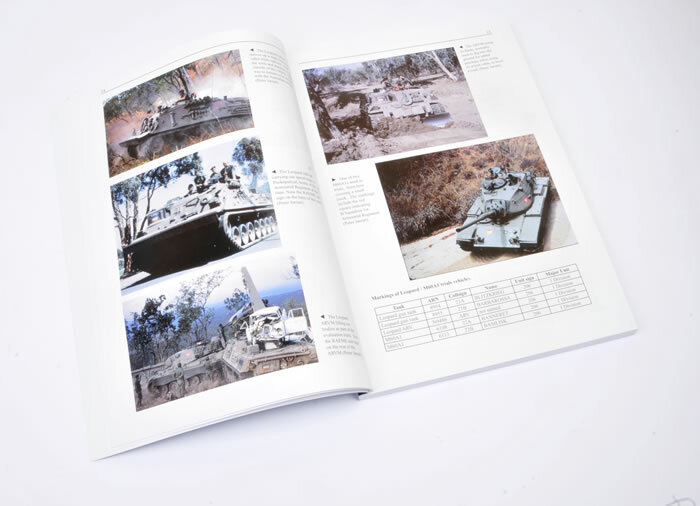 Models available of Leopard AS1 MBTs. The high standard of research is matched by the presentation of the book. The paper is of high quality and glossy between its perfect bound soft covers. 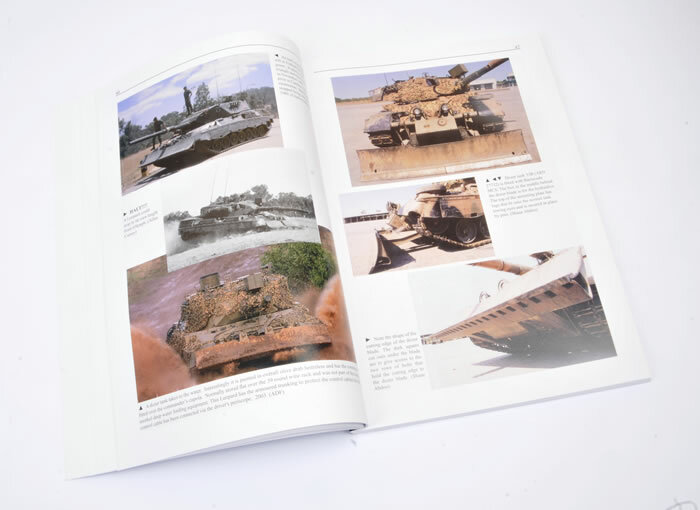 Layout is straightforward, most of the photos are of good size and well reproduced, and the text is easy to read. 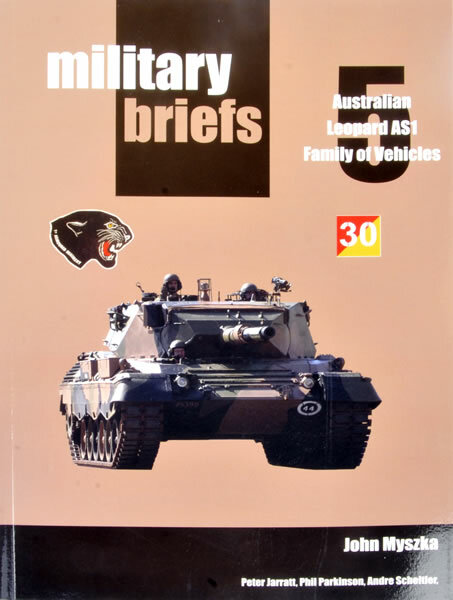 With their Military Briefs 5, Mouse House Enterprises has delivered a comprehensive work on the Australian Leopard AS1 family of vehicles. The format is ideal as a one-stop reference source for modellers, but will also be of interest to the armchair historian. Not surprisingly, Mouse House also lists its own growing range of resin updates and conversions for the various Leopard kits.